Make plans to attend our boat show! Saturday April 2nd from 9:00 to 5:00 at our Seneca Lake store. LOTS or new 2016 Manitou pontoon boats on display, as well as Evinrude & Suzuki outboards and Load Rite trailers. Many new improvements to the store with greatly increased parts & accessories inventory for fast service turnaround. 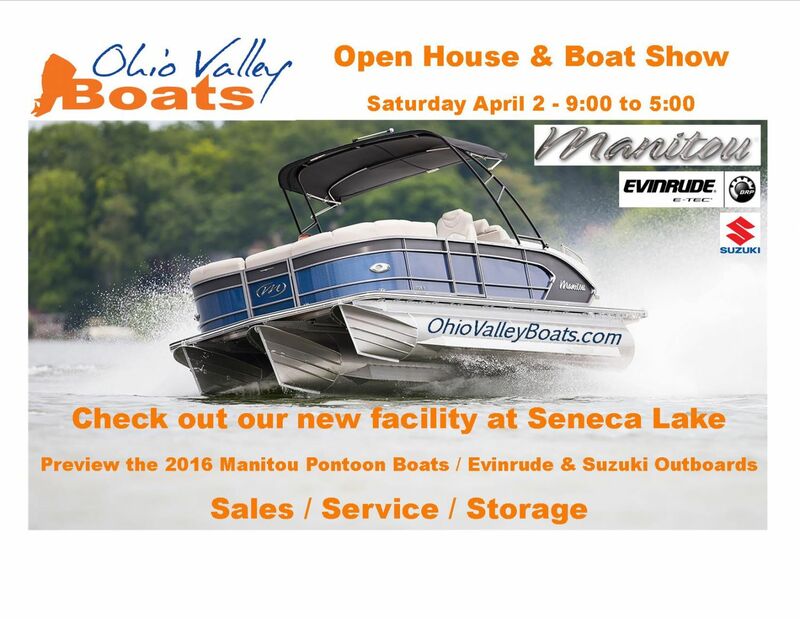 Manitou factory reps will be on hand with Ohio Valley Boats staff. KC105 Country will be broadcasting live from 11:00 to 1:00. We will have prize giveaways, food and lots of fun! Be there!! !